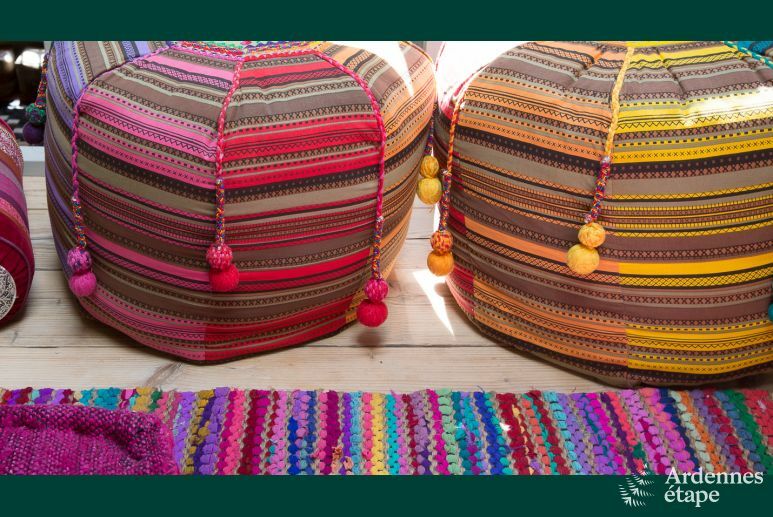 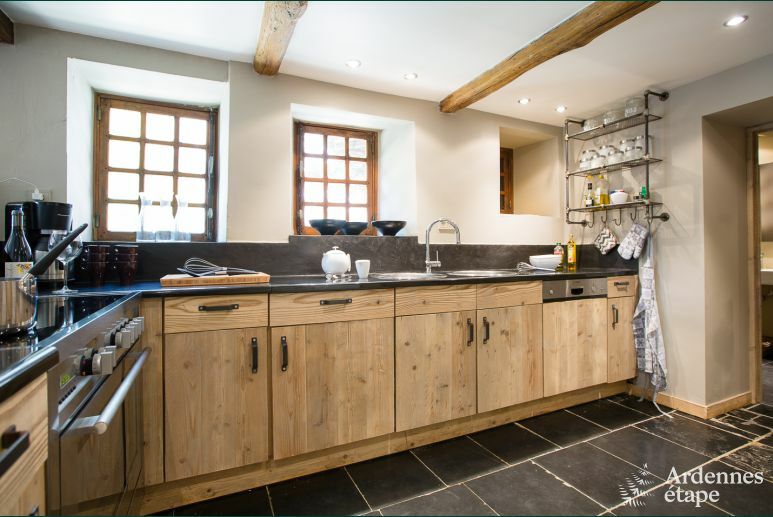 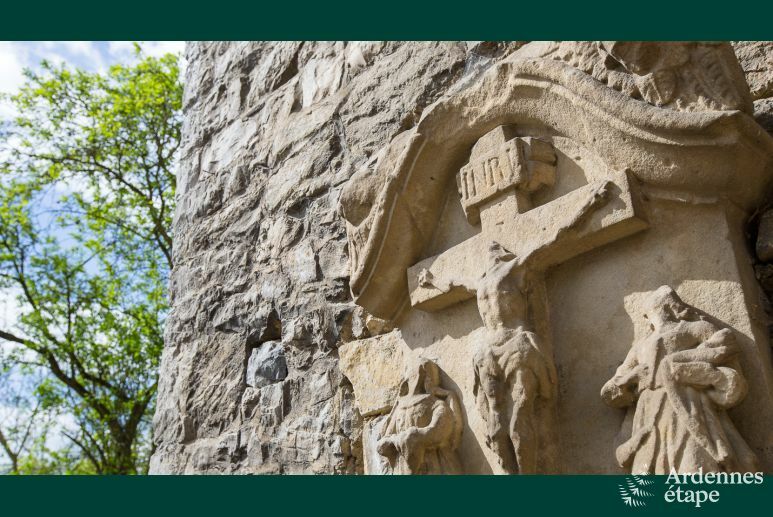 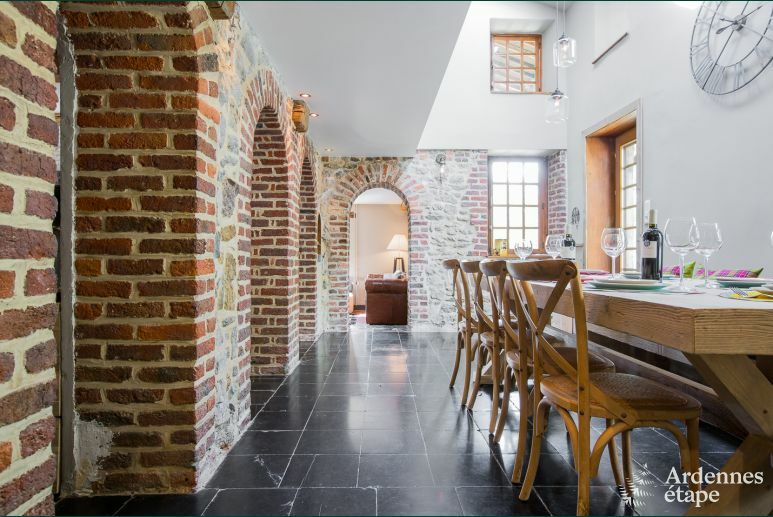 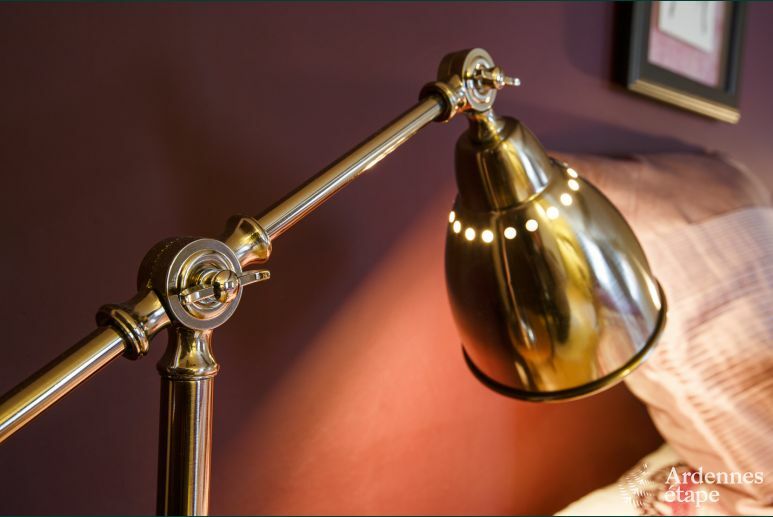 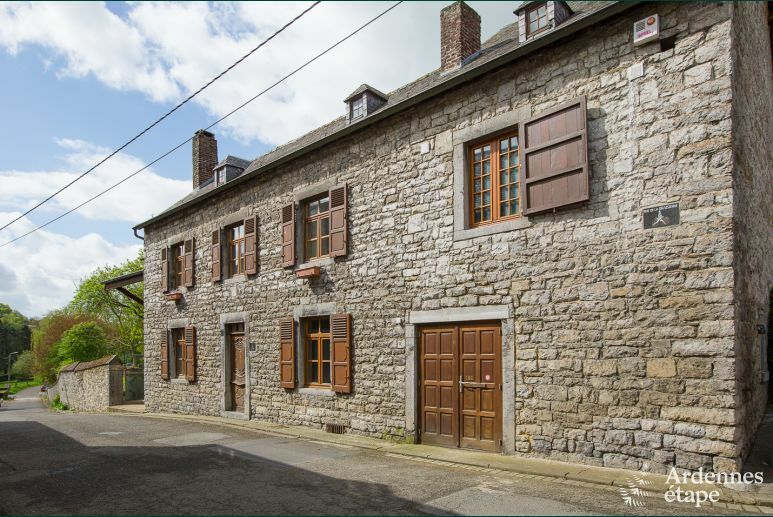 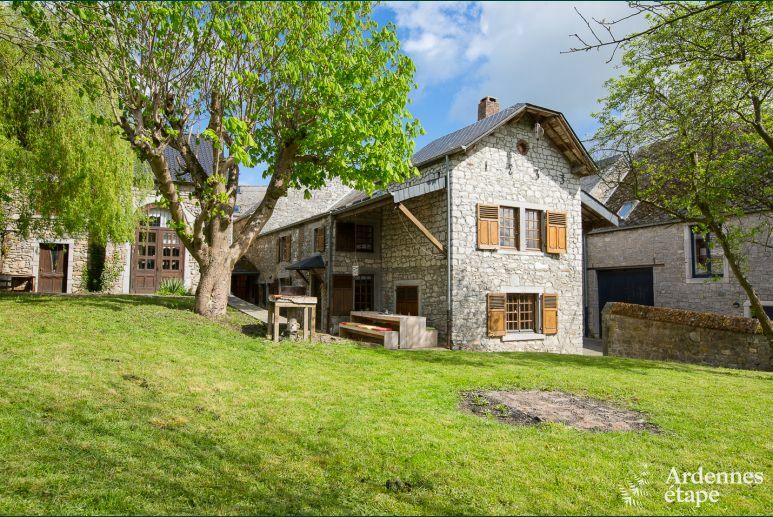 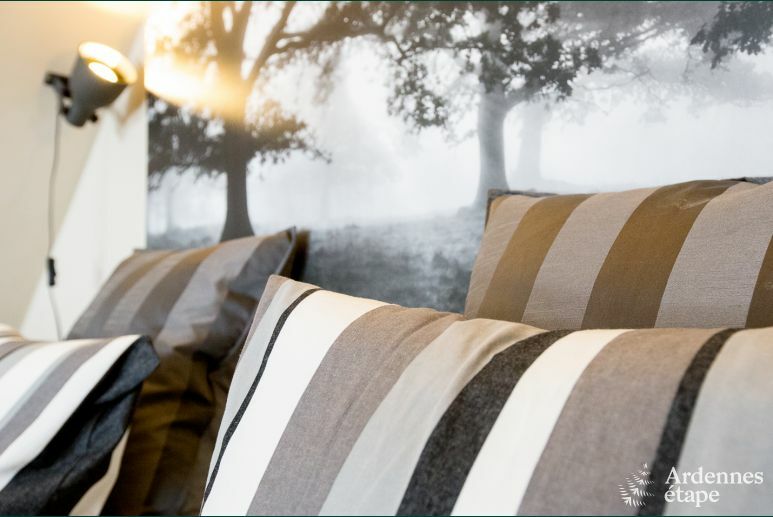 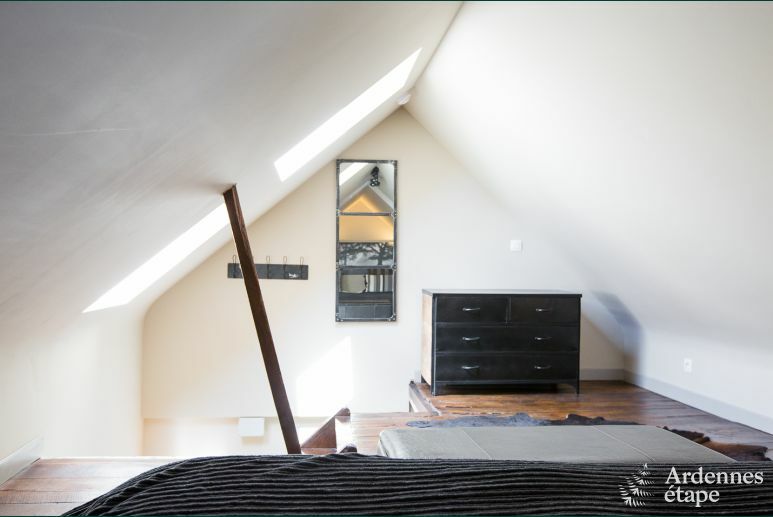 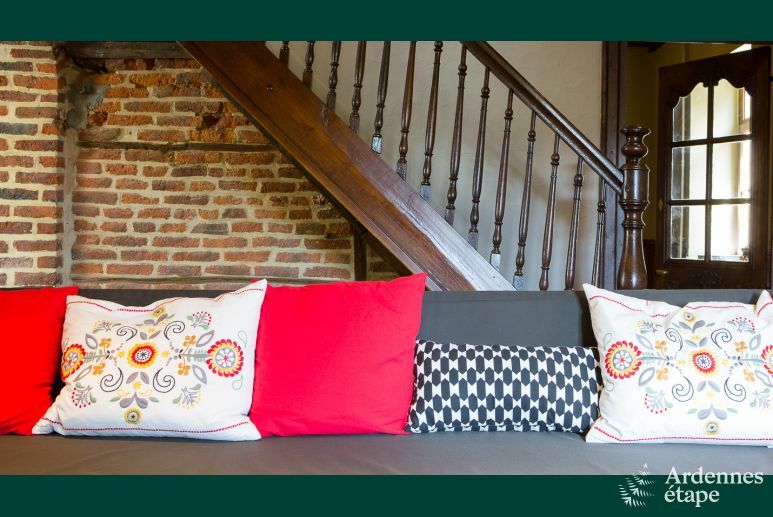 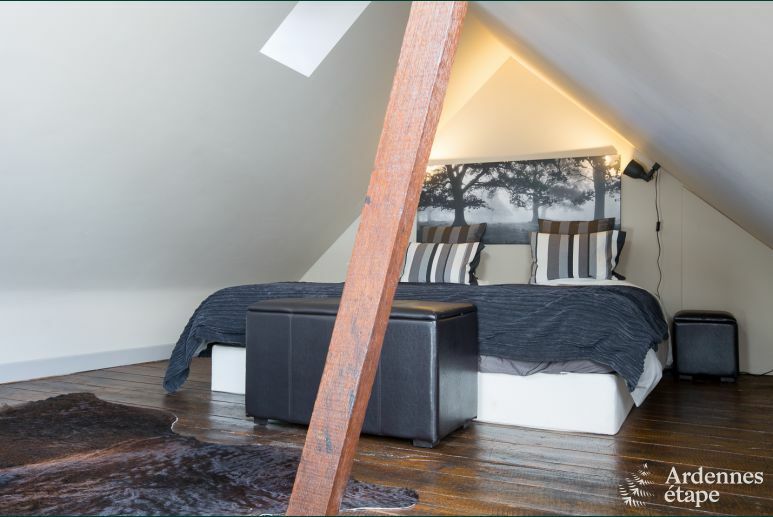 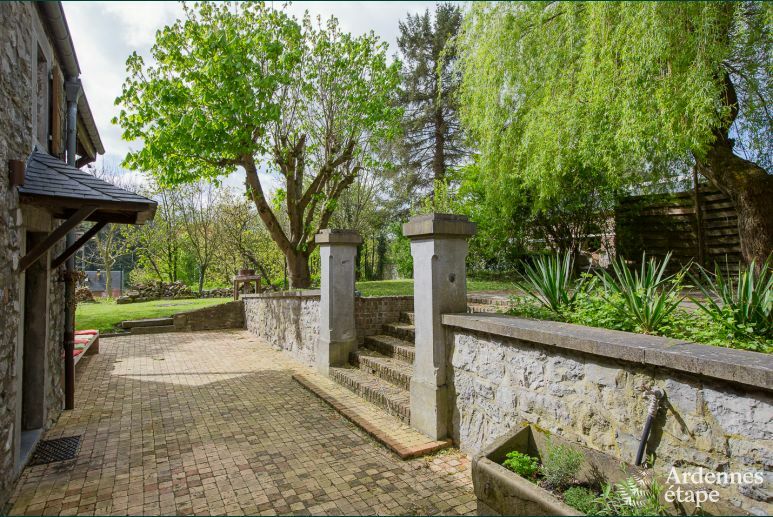 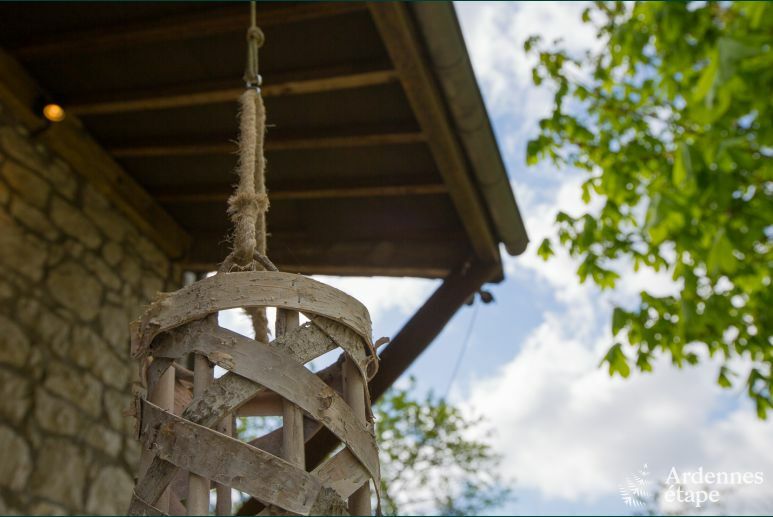 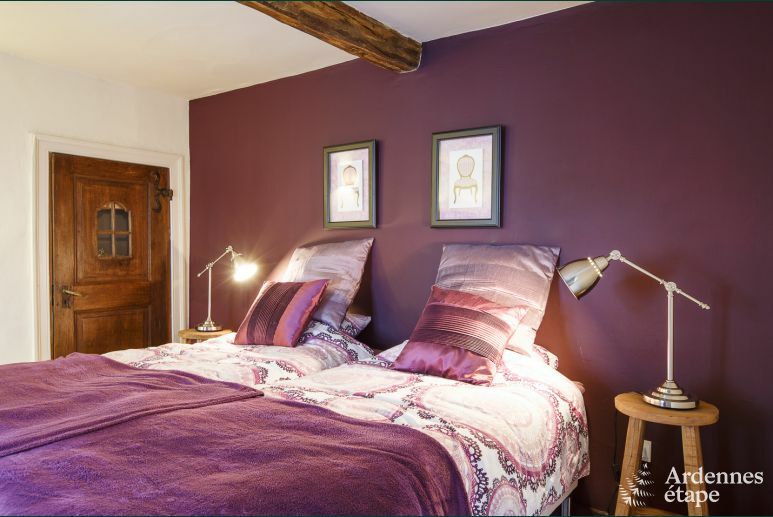 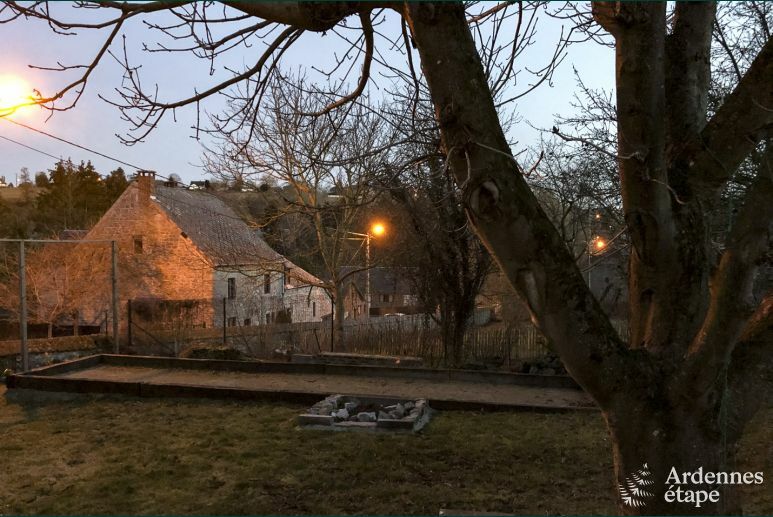 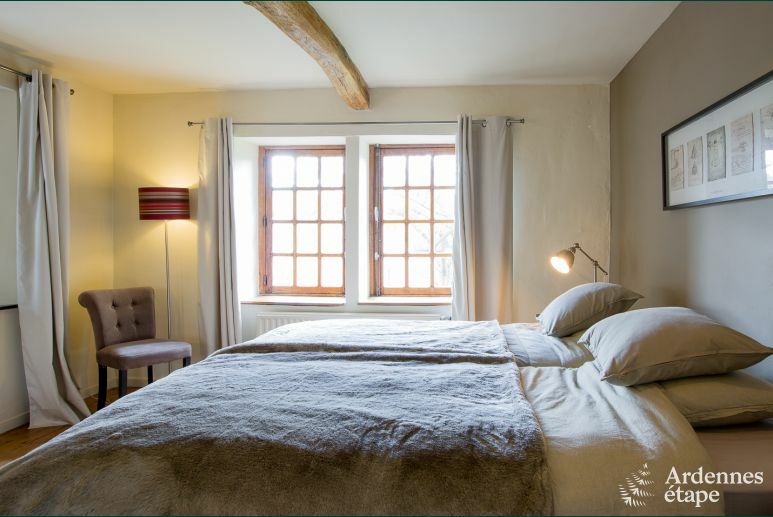 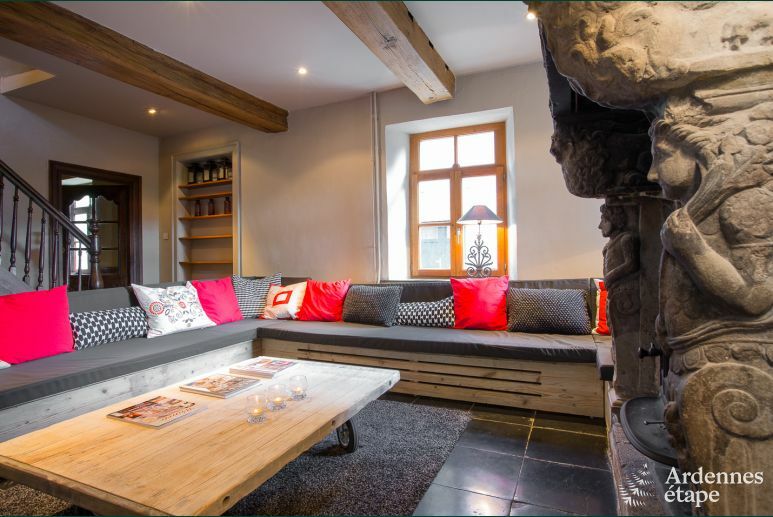 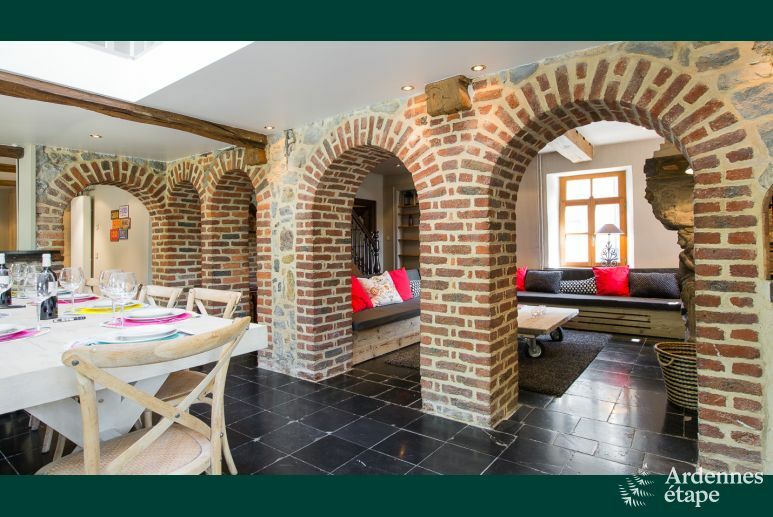 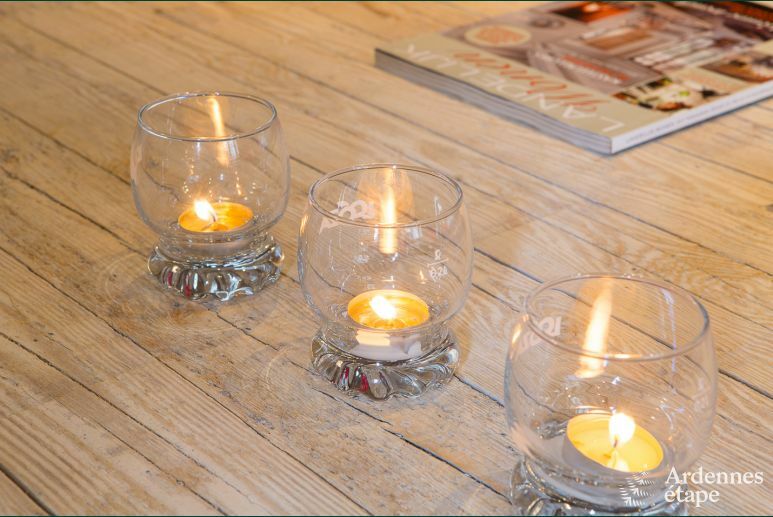 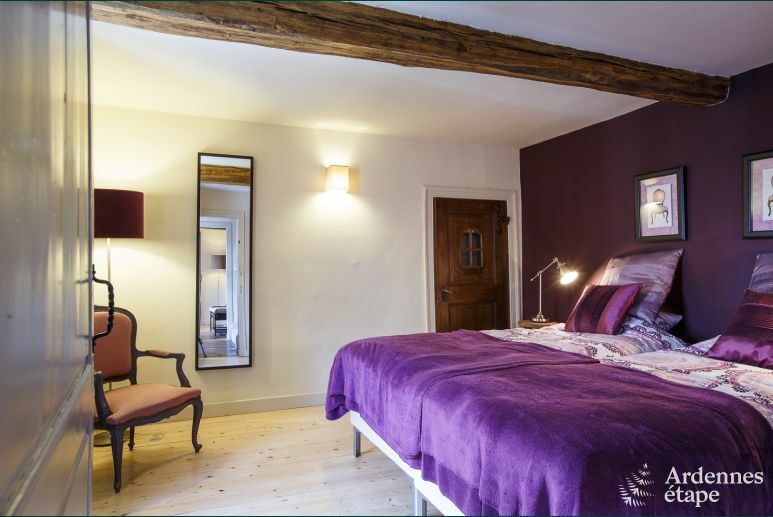 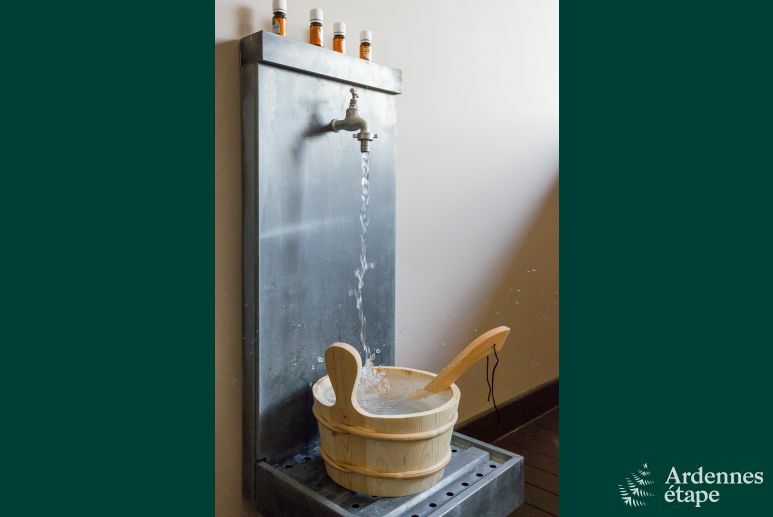 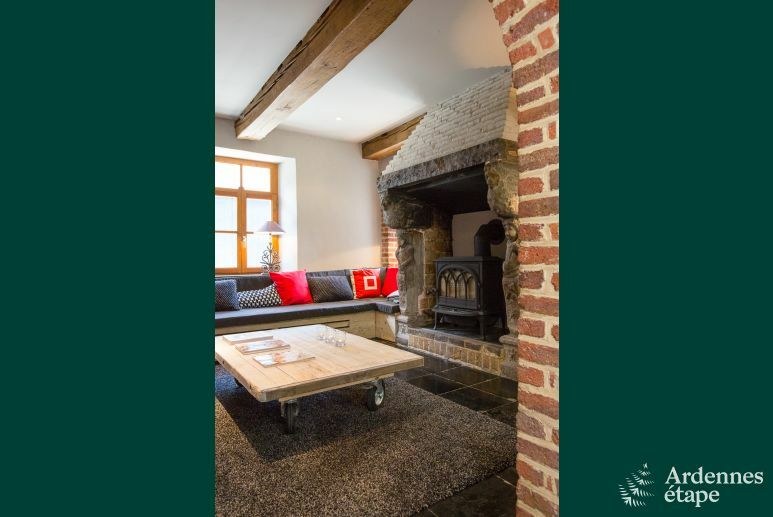 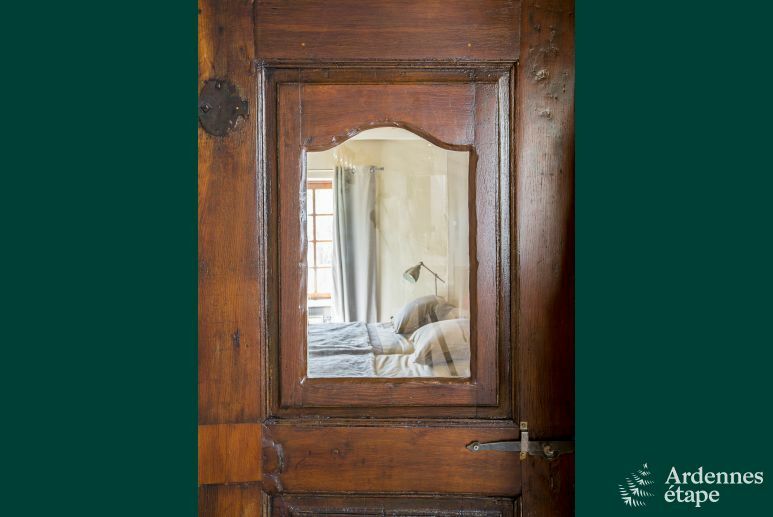 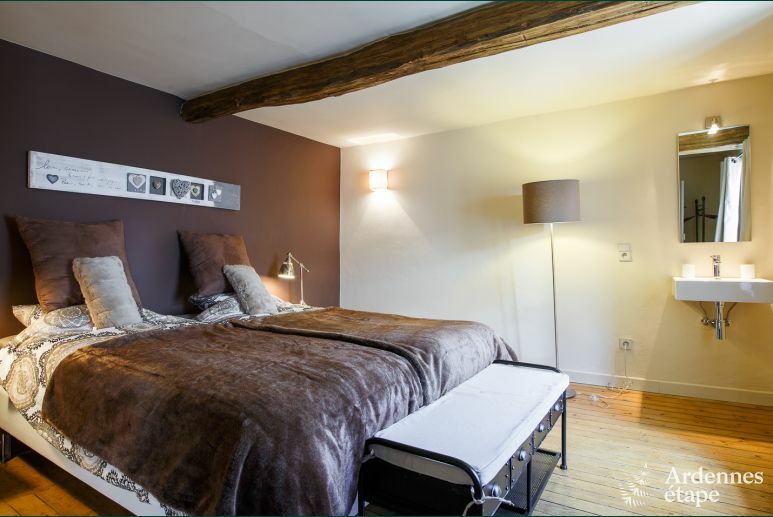 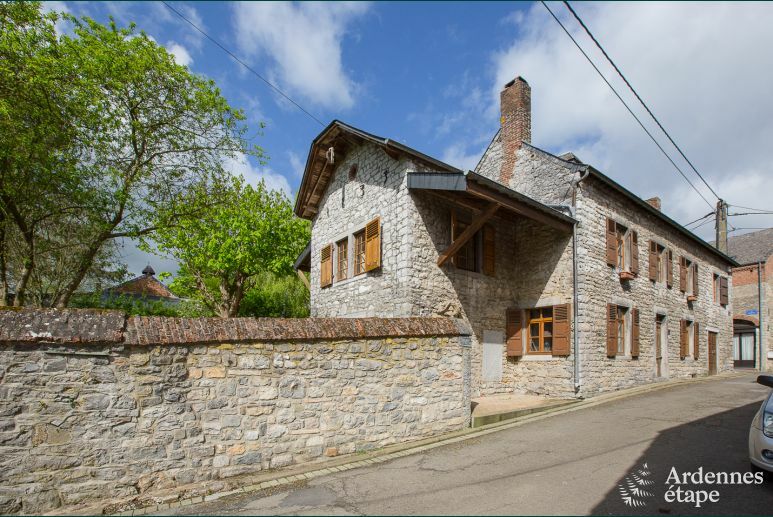 Would you like to enjoy a peaceful and relaxing stay in the Ardennes having meals you’re your friends in a house of character with a neat atmosphere ? 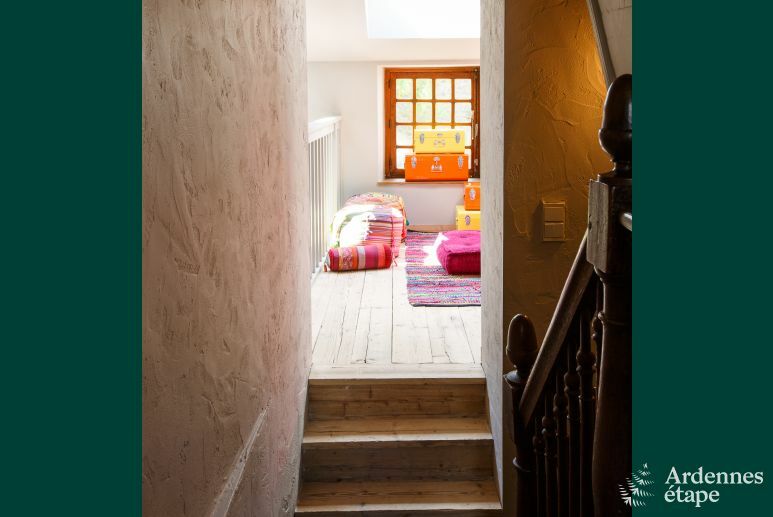 You’ve found the perfect place! 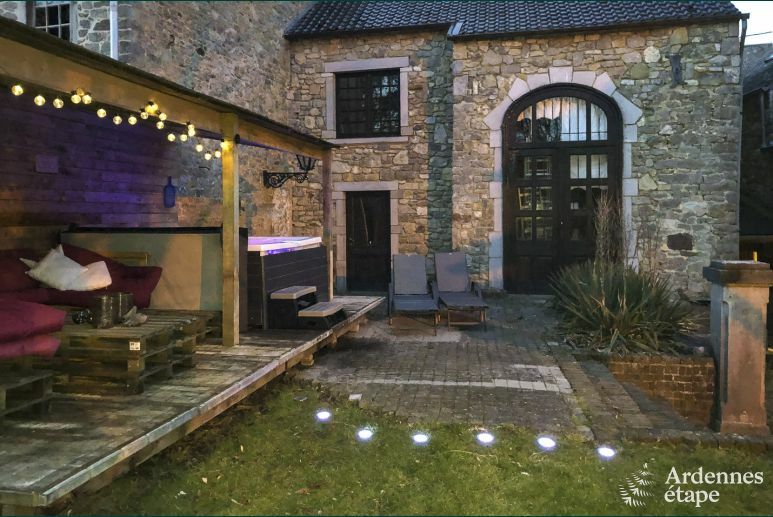 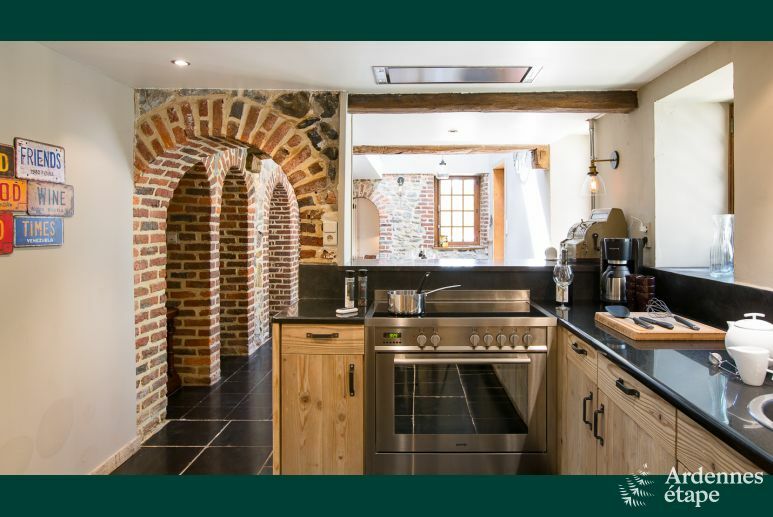 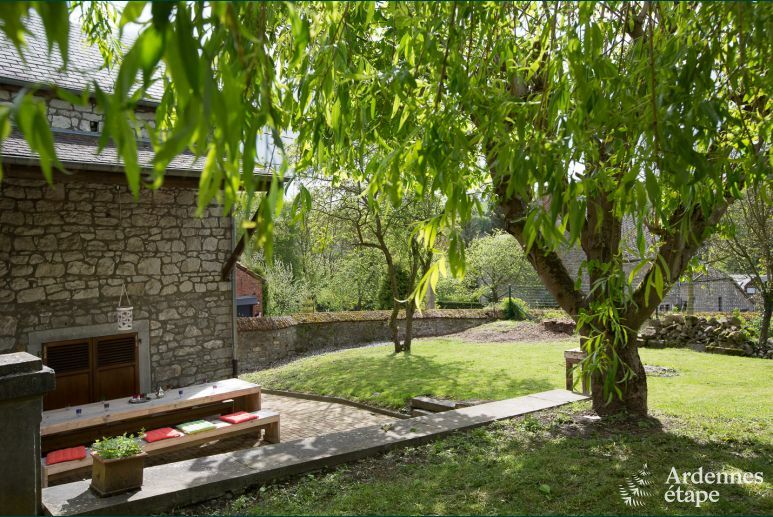 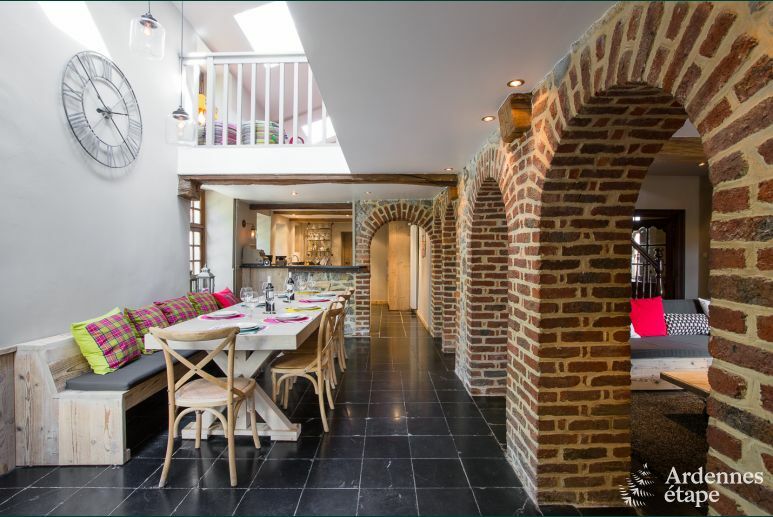 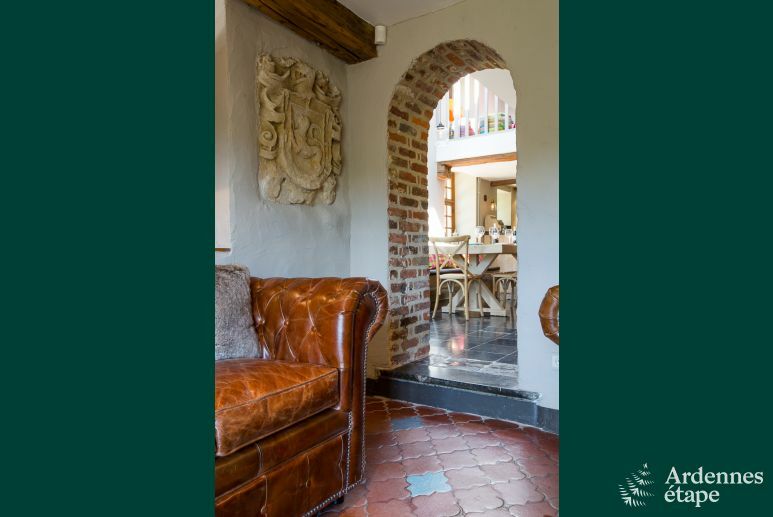 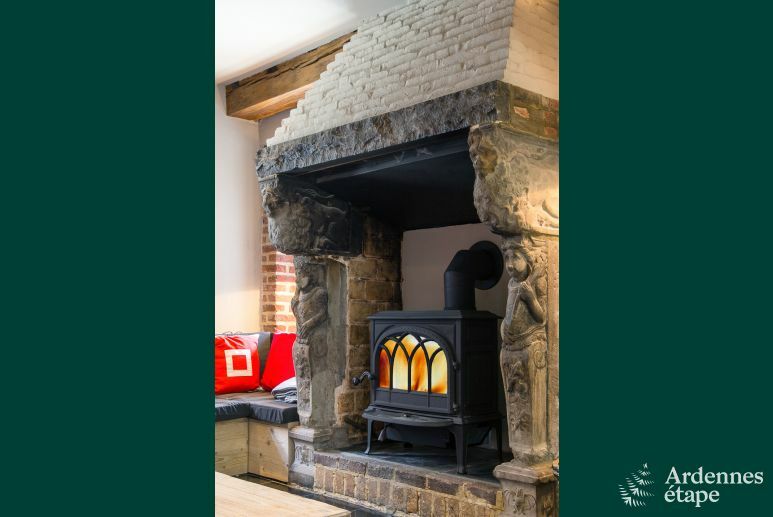 With its different lounges, its games room with billiards, and the sauna; this beautiful holiday cottage is the ideal place to stay in the tourist area of Dinant. 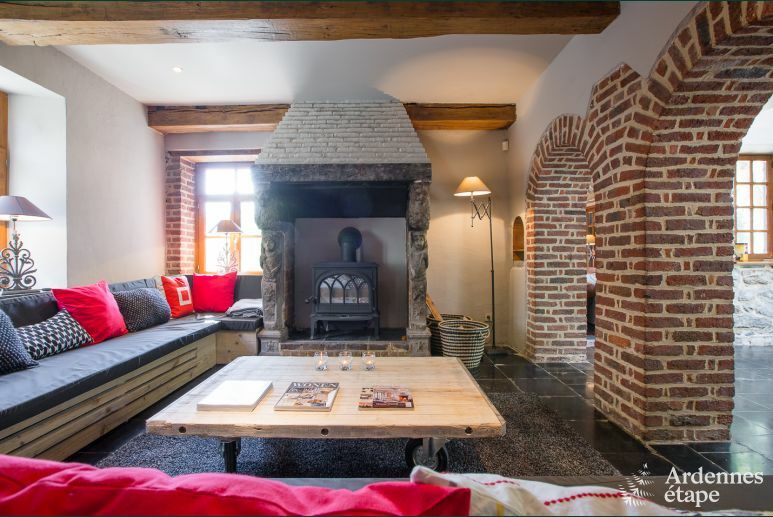 Would you like to enjoy a peaceful and relaxing stay in the Ardennes having meals you’re your friends in a house of character with a neat atmosphere? 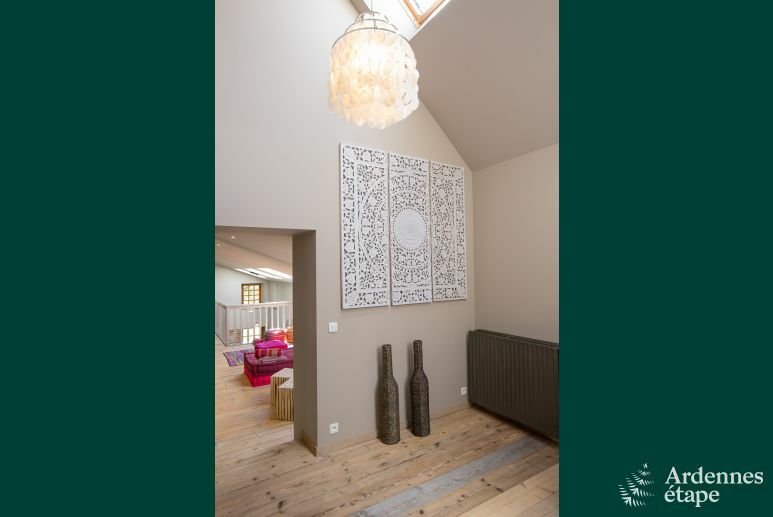 You’ve found the perfect place! 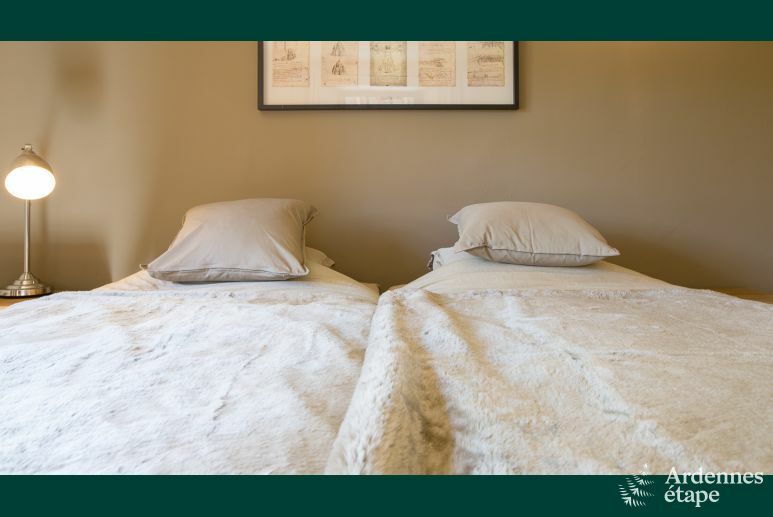 As soon as you arrive at your cottage, you will realise that you’ve arrived at a special place. 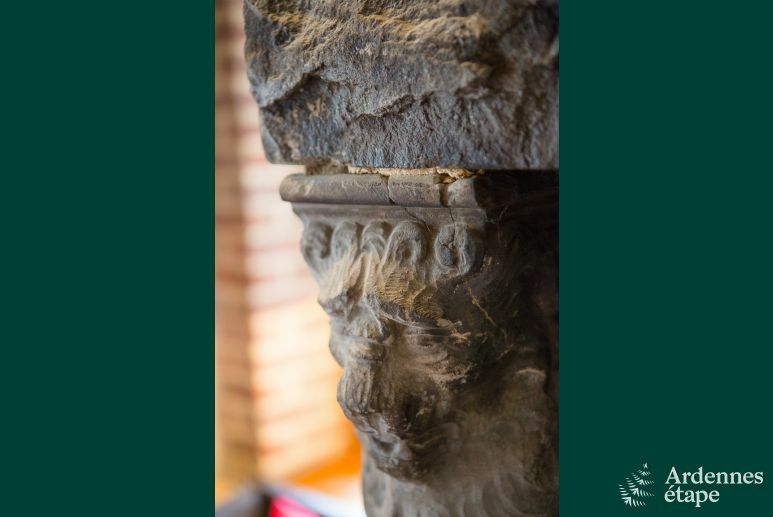 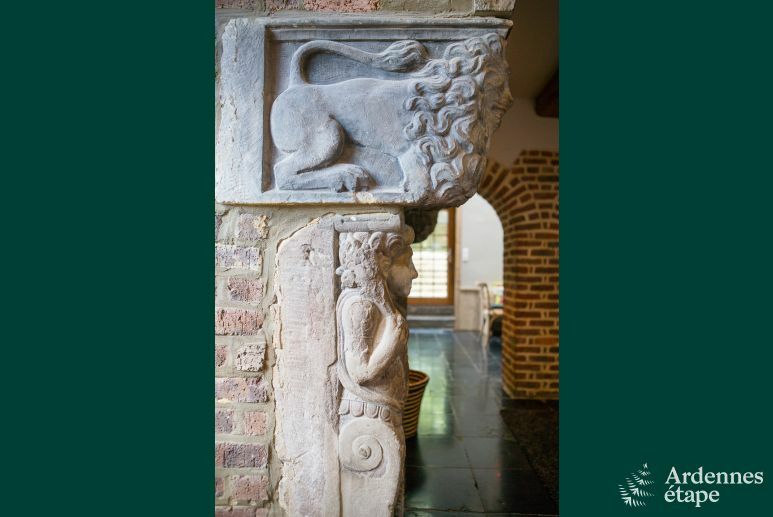 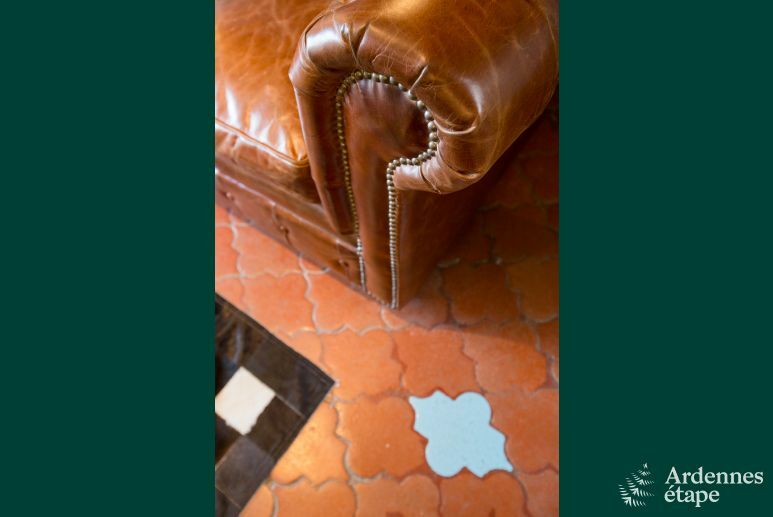 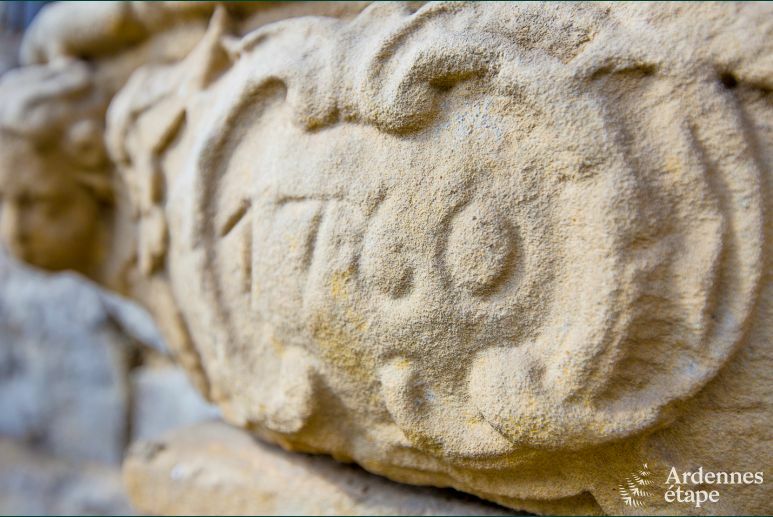 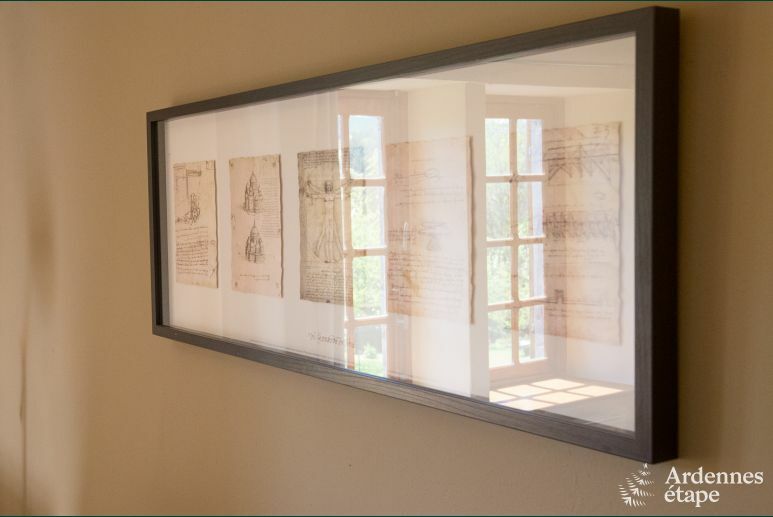 Indeed, one of the former owners carefully preserved the character of the house by adding decorative elements found here and there. 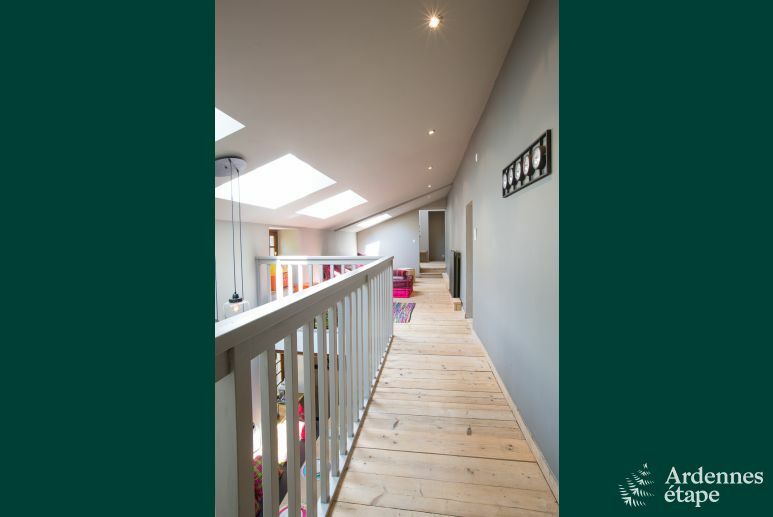 The current owners renovated the holiday cottage in the same spirit. 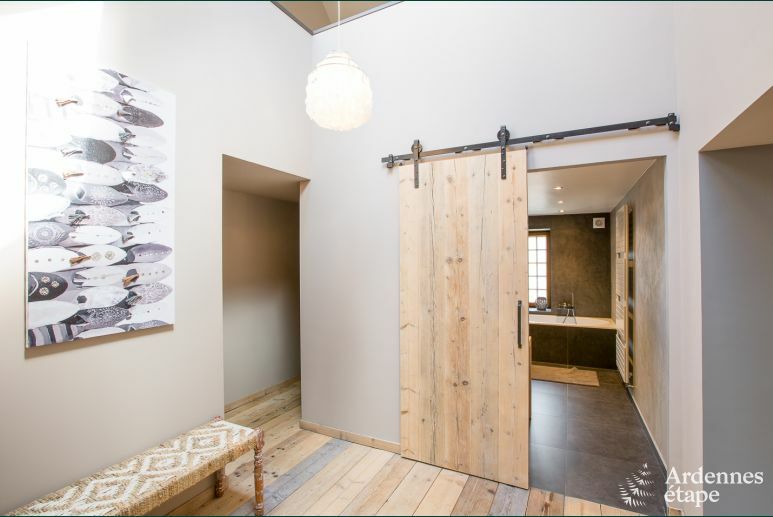 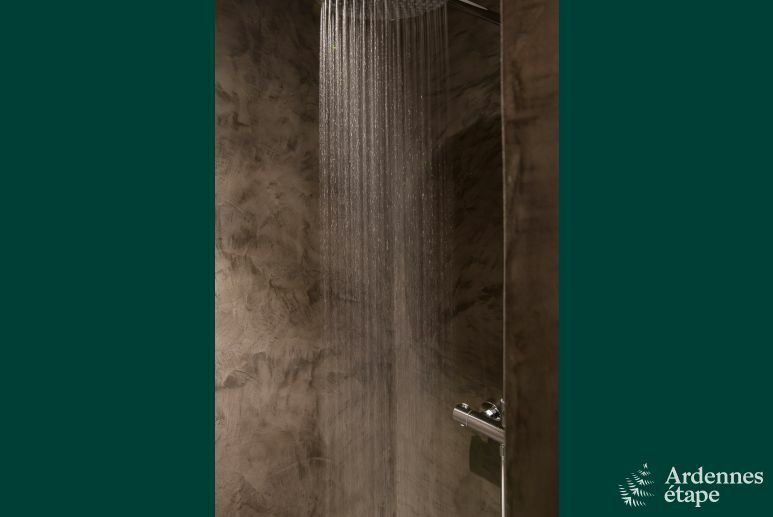 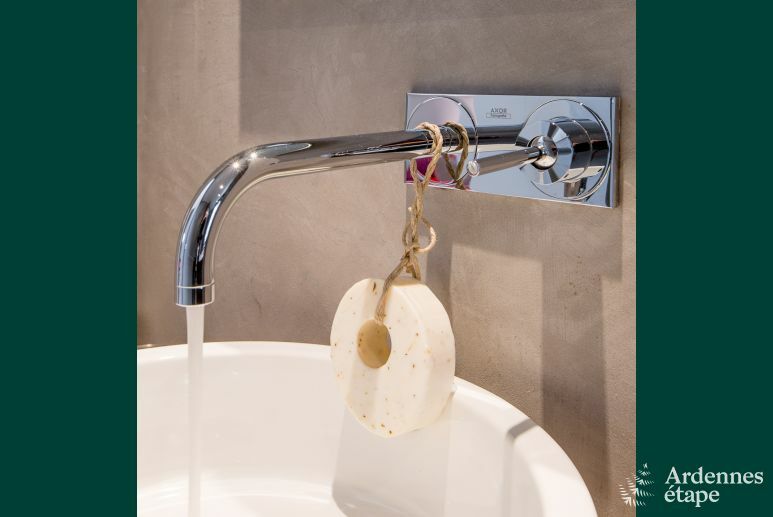 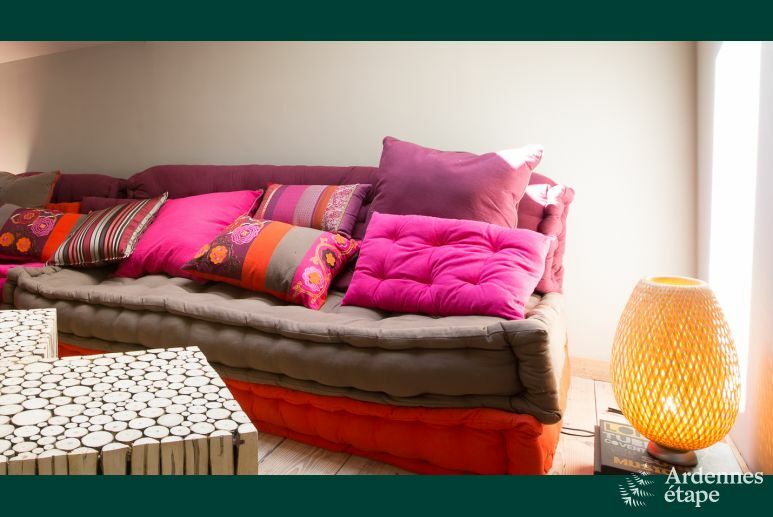 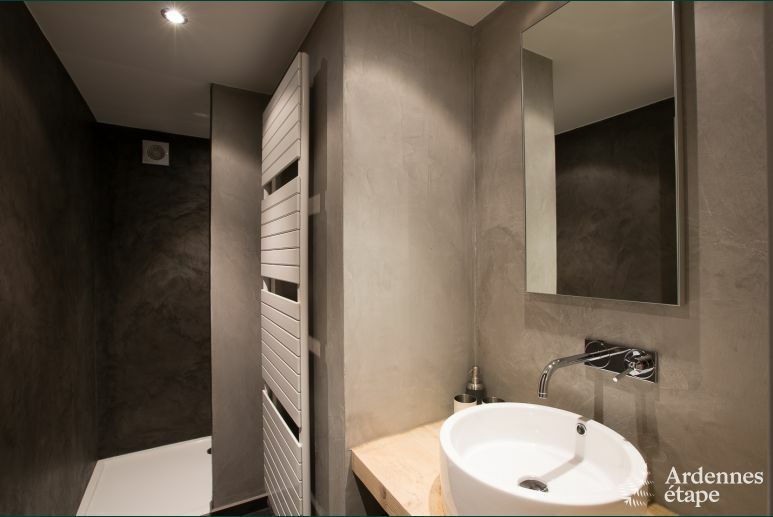 The result is a comfortable, well-kept home that features natural materials. 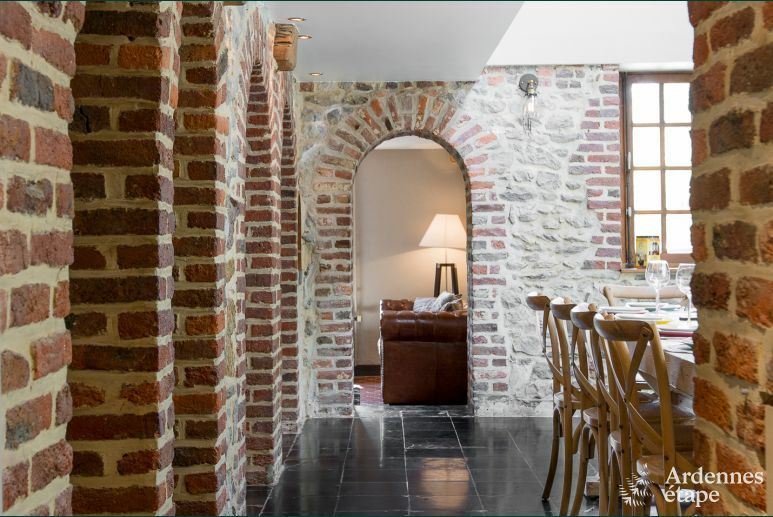 The dining room, adjacent to the kitchen, is separated from the living room by nice brick vaults. 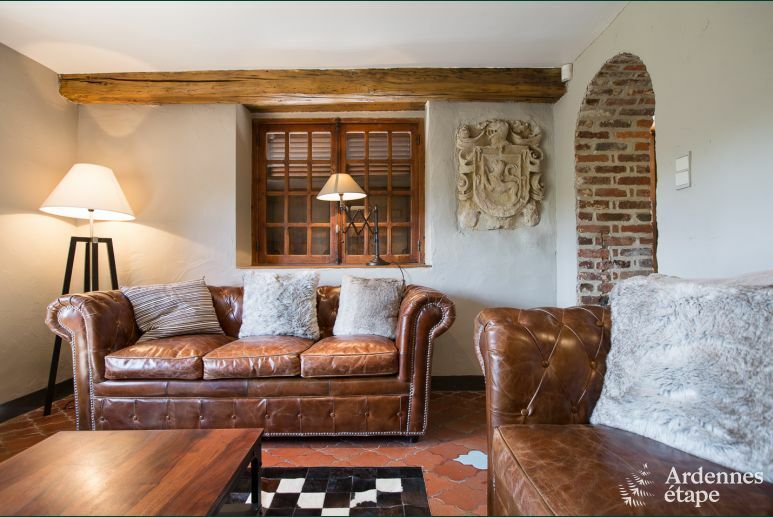 Another lounge with a cosy atmosphere is ideal to enjoy a TV moment or to have an aperitif. 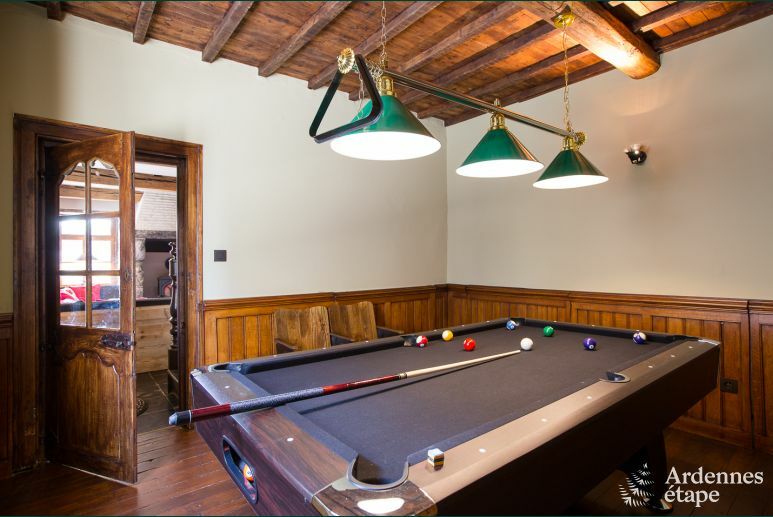 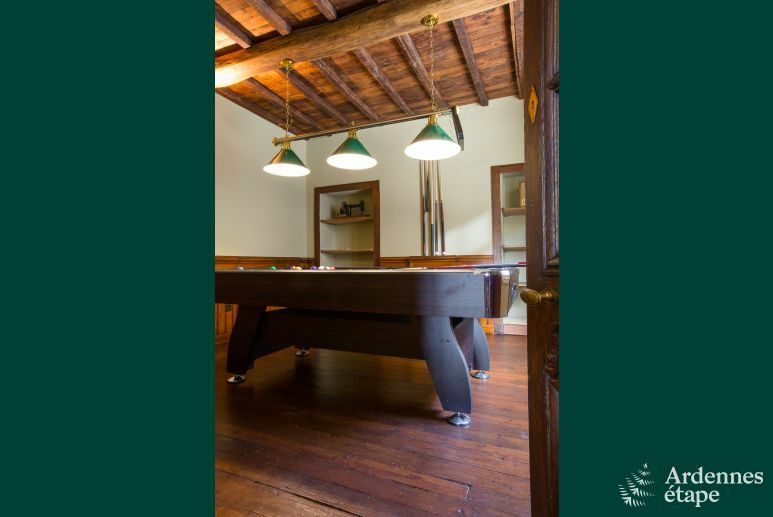 If you want some distraction, the dimly lit games room is perfect for a game of billiards. 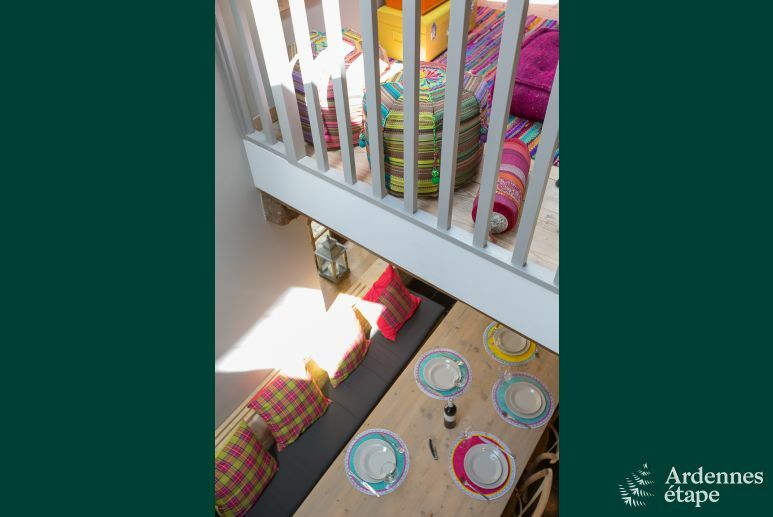 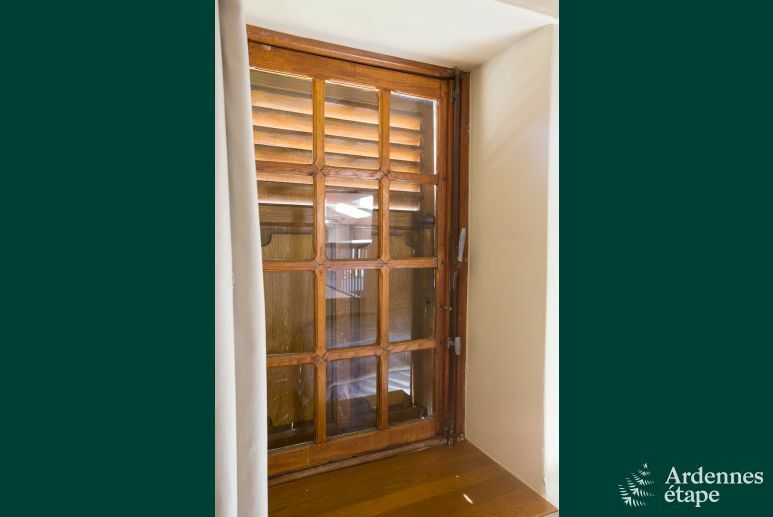 Upstairs, you will find four comfortable bedrooms as well as a lounge in the mezzanine, which is ideal for reading or for your children to play in. 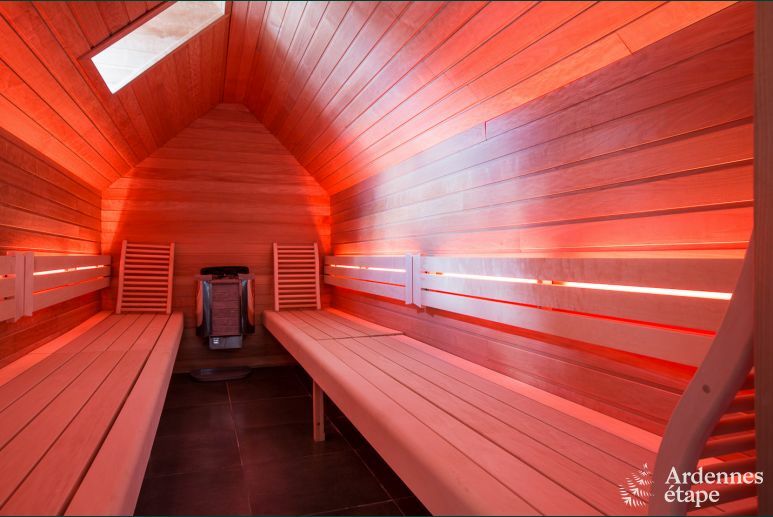 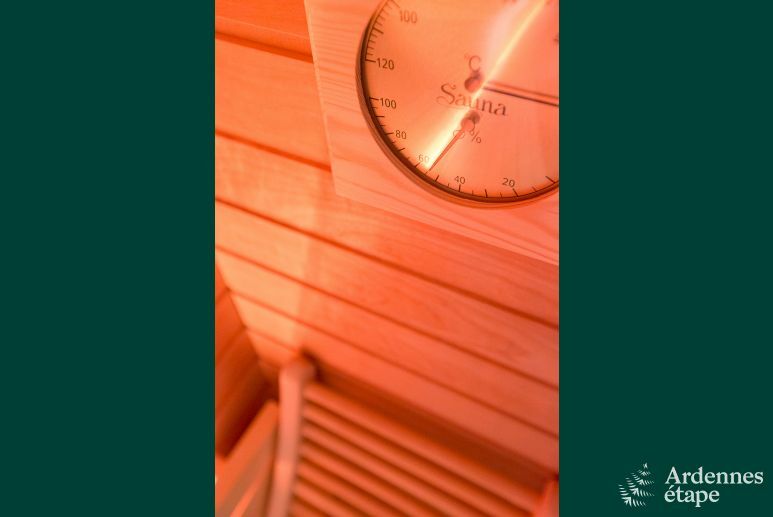 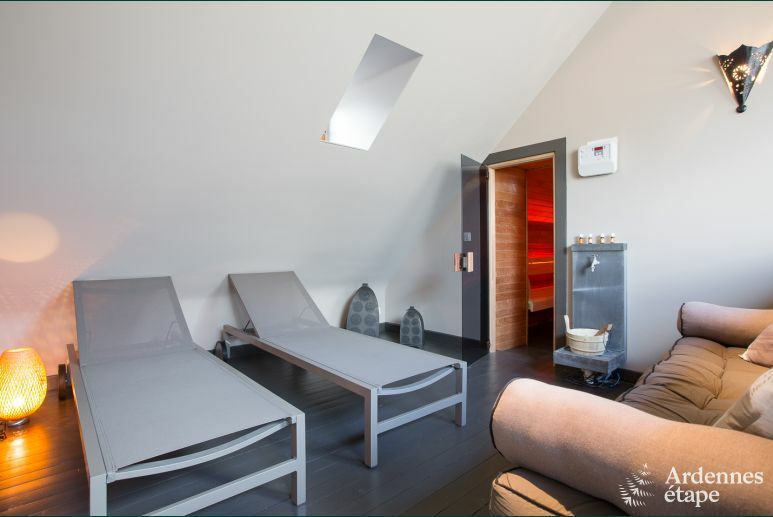 The wellness area awaits you on the upper floor with its large, custom-built sauna in the rooftop. 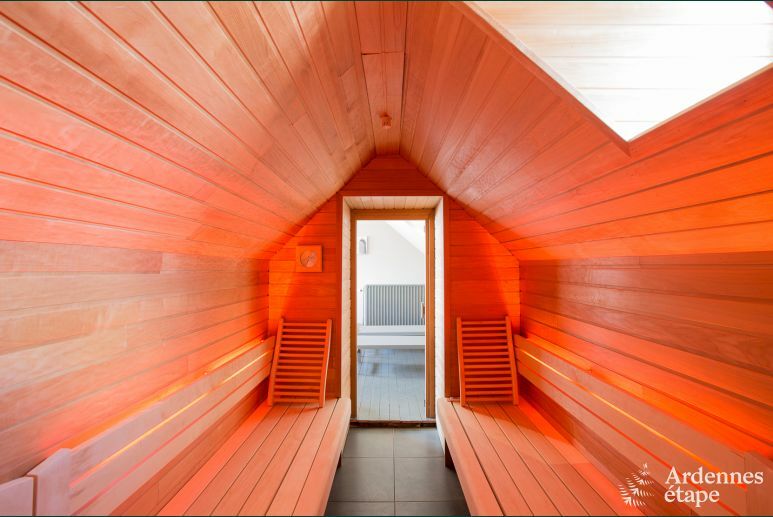 Calm and relaxation are on the agenda. 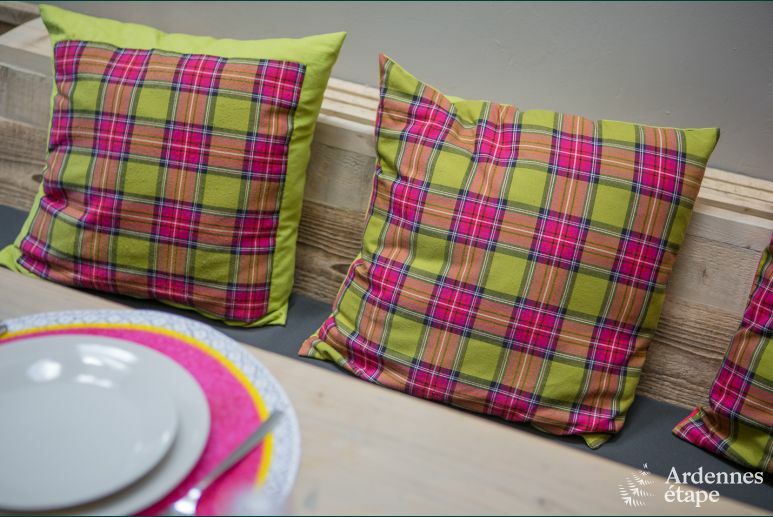 Outside, the lovely garden and the pleasant terrace are perfectly adapted to enjoy nice meals outdoor. 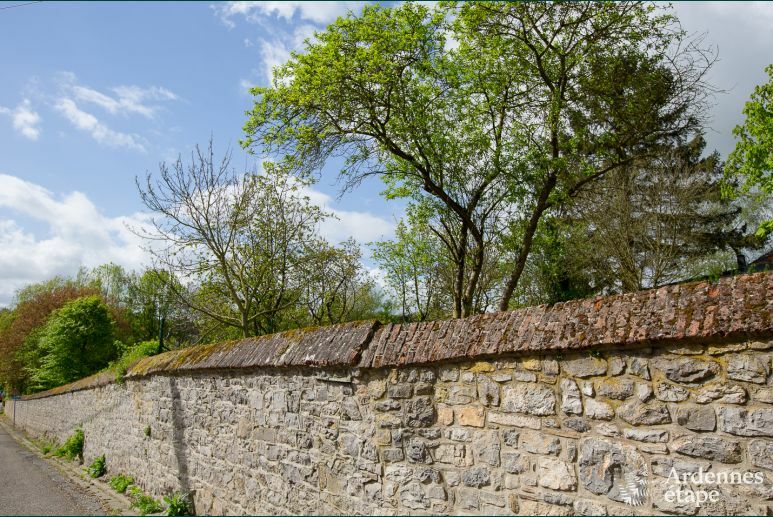 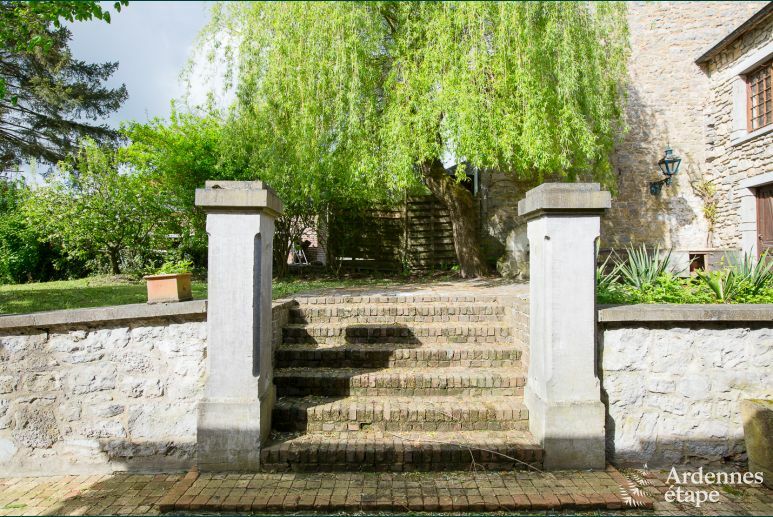 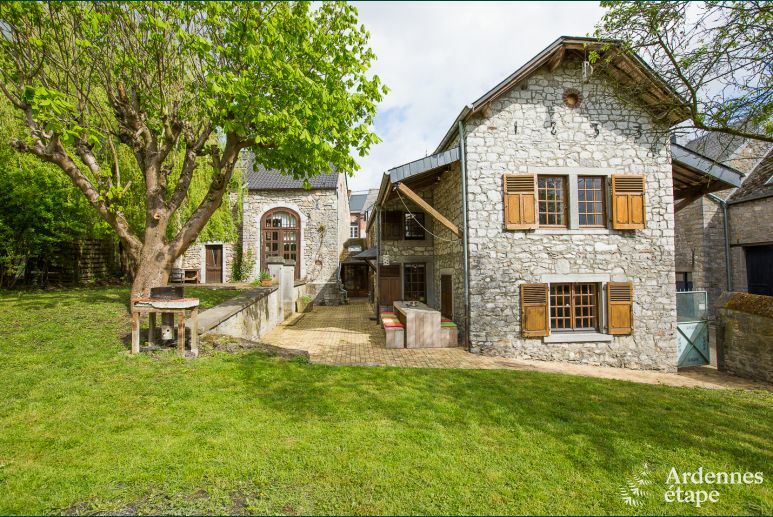 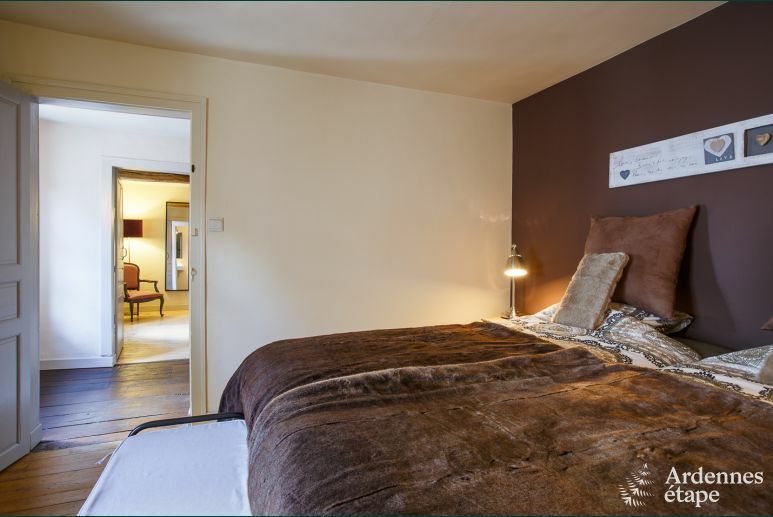 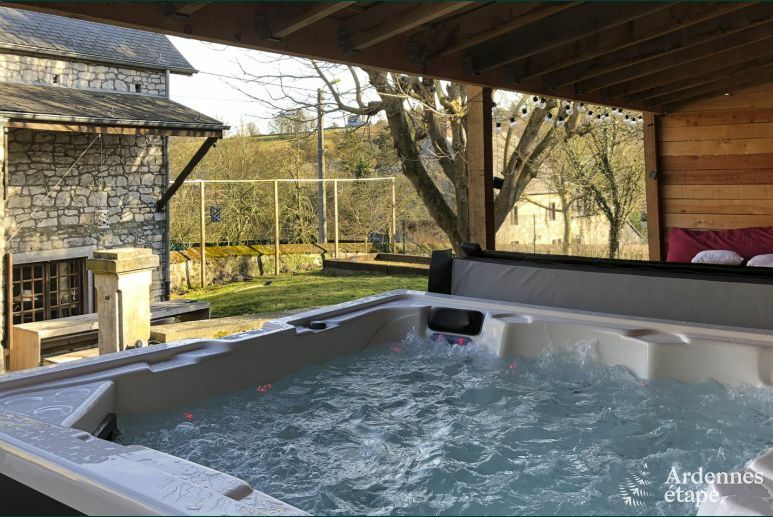 The house is located in a small hamlet close to Dinant and you will find many tourist activities nearby, such as Dinant Adventure, Dinant Evasion: Cruises on the Meuse as well as the famous Citadel of Dinant. 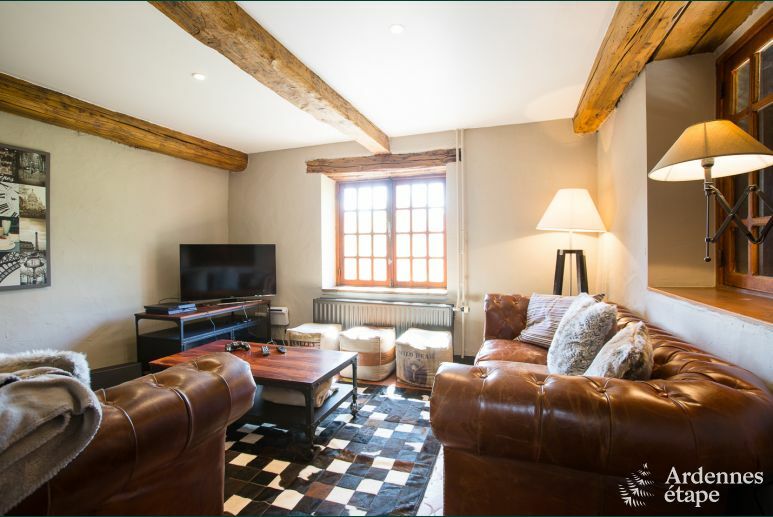 For sportier outings, you can rent some kayaks at Lesse Kayaks and Kayaks Jaunes Libert, or even enjoy an exhilarating game of paintball at Paintball Experience. 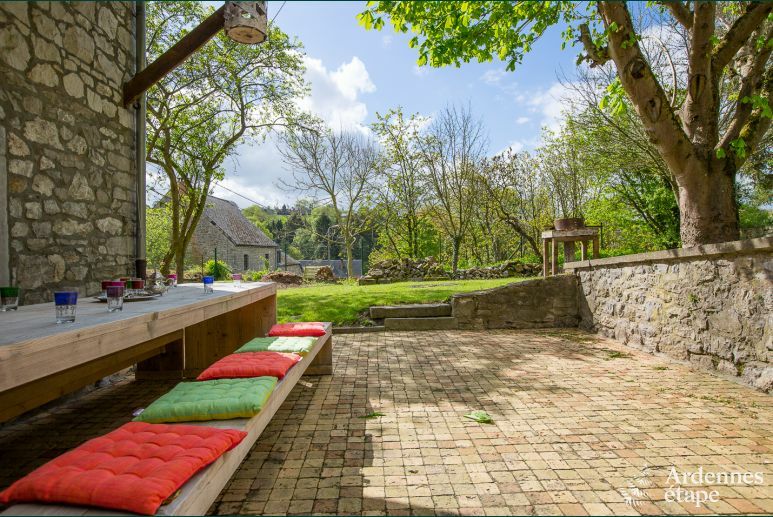 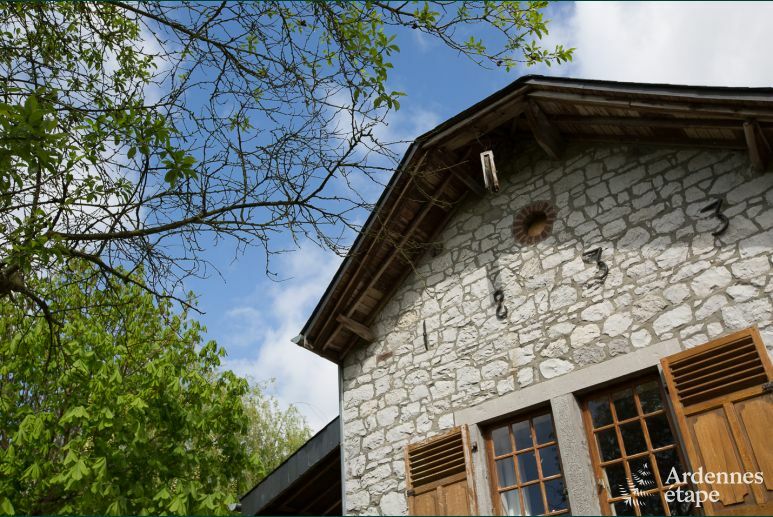 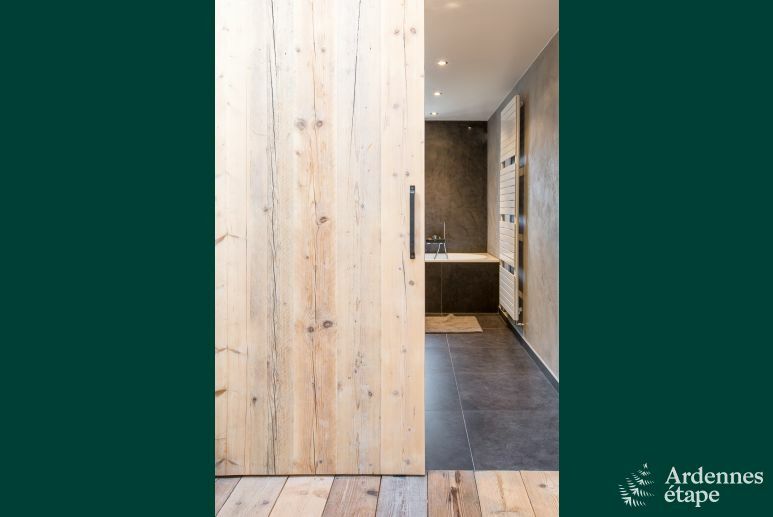 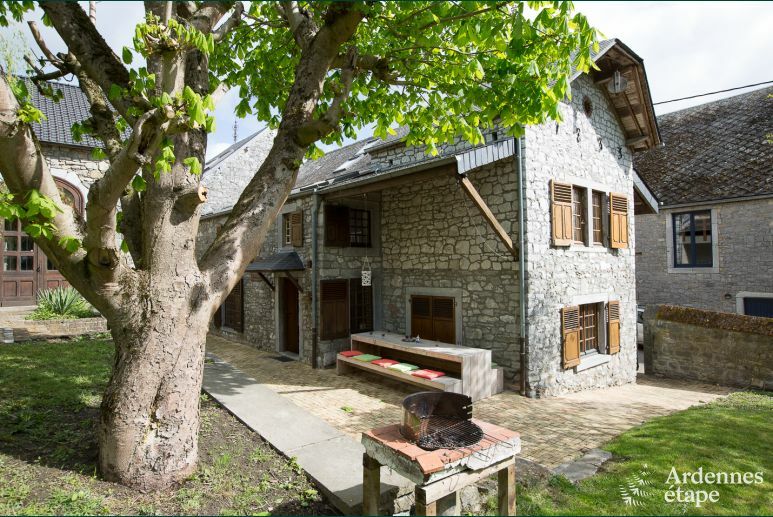 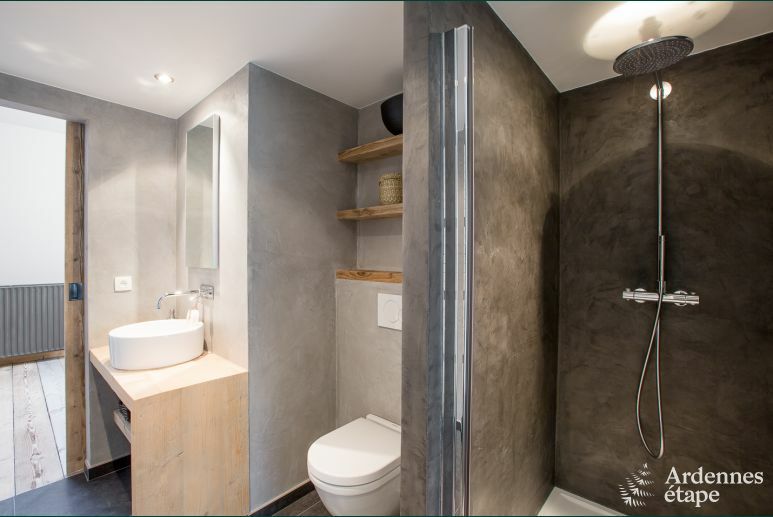 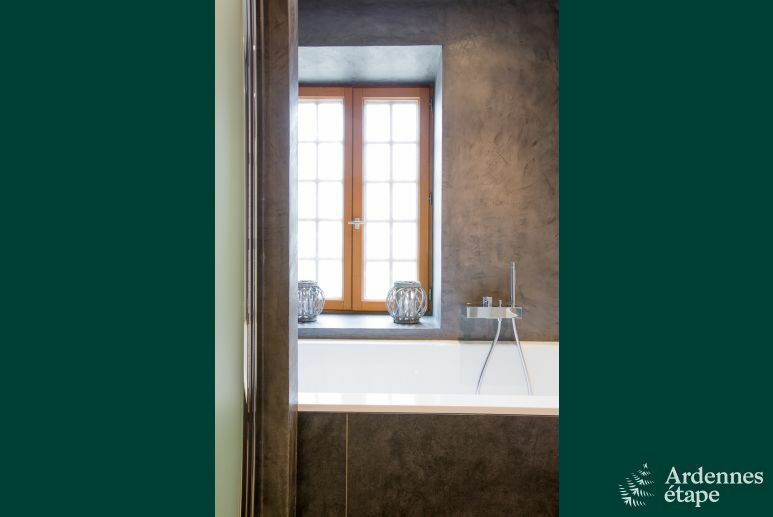 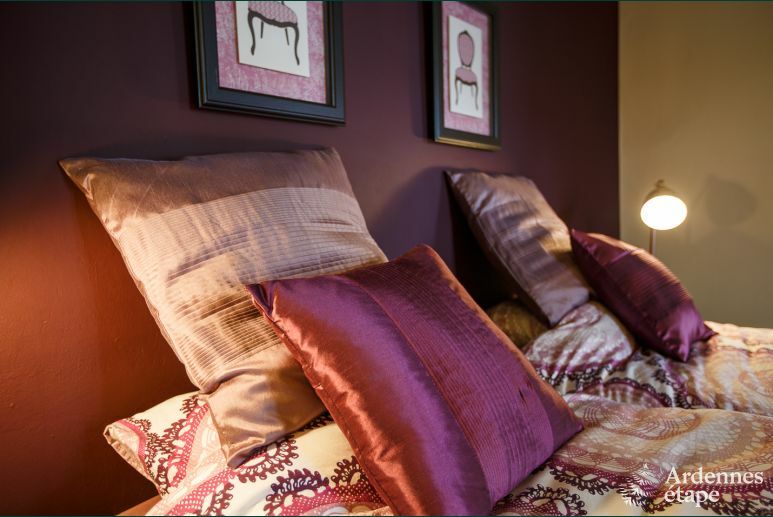 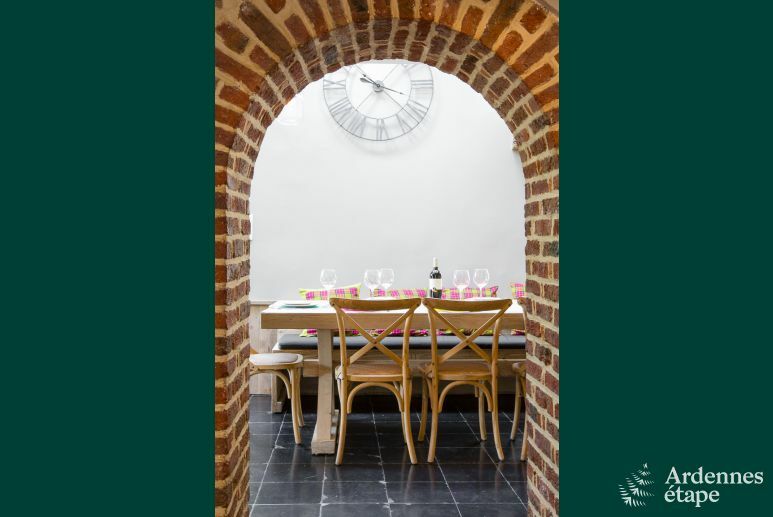 Whether you are visiting for an adults-only holiday or accompanied by your children, this holiday home will meet everyone’s expectations and enhance your stay in the Ardennes.